In the year 760 bce, the Great Prophet Isayah extended a futuristic invitation to millions of people – people he only knew by the prophecy he was inspired to write. Then, fifty years later, the Great Prophet Micahyah reiterated the same invite thereby establishing its certainty. The invitation issued today goes forth to peoples of all nations, of all languages, and of all walks of life. 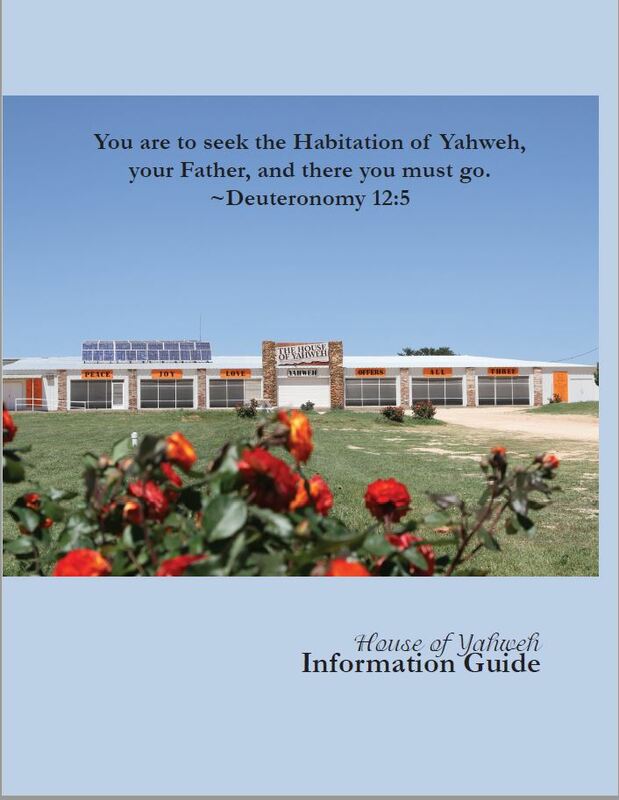 It is an invitation to attend the Feasts of Yahweh at His House – The House of Yahweh. In accepting such an offer, the inhabitants of the nations, come with expectations, hopes, and dreams. They long for peace, health, and safety but mostly they want answers. They want to come away from deception and lies. They want truth! Yahweh states He will meet with His people at the appointed Feasts and through His Servant Yisrayl, He fully intends that they get their answers while they learn about their Loving, Faithful Heavenly Father. The Feasts are an opportunity to meet other family members. People from across the globe gather to fellowship and rejoice in front of Yahweh. They make the decision to learn the Laws of Peace, Yahweh’s 613 Laws and to study prophecy, as they have never been able to do before. The Feasts are free of life’s daily stresses and distractions – no need for entertainment, bars, shopping, and so forth. Yahweh’s Feasts affords quality time for learning, reflection, and clarity of thought to reset life with morally sound guidance toward achieving a productive, wholesome life before Yahweh the Father. Come! The Truth, at Last! This time I will teach them My power and might and they will know that My Name is Yahweh! The Scriptures state that Yahweh’s Feasts are a “shadow” of protection from things to come by providing vital information for difficult days ahead – diseases, famines, and wars. Yahweh’s Laws (instructed during the Feasts) are perfect and have the ability to change a person’s character for the better. Adhering to these Laws is the direct link to the original covenant agreement between Yahweh and mankind. The Laws are the means of achieving salvation. Contrary to popular belief, there was no need for an amendment – the original covenant stands. Ending the “what is the mark of the beast” question, Yahweh’s Feasts are a sign – a mark upon the hand and forehead. On Feast Days, Yahweh’s people cease their customary work and reflect upon Yahweh and His instructions for mankind. It is the Mark of Yahweh. Yahweh’s Laws are a tested set of rules that if followed perfectly, ensure a life of health, safety, contentment, and peaceful living. Attending a Feast of Yahweh is an education on how to live by these rules and is the best and surest way to learn the Laws of Yahweh. There are seven Feasts in total, one of which is the weekly Seventh Day Sabbath. A weekly live stream visit on the Sabbath (Saturday) provides helpful instruction. Learn more about What the Feasts Mean to You by reading this free booklet.